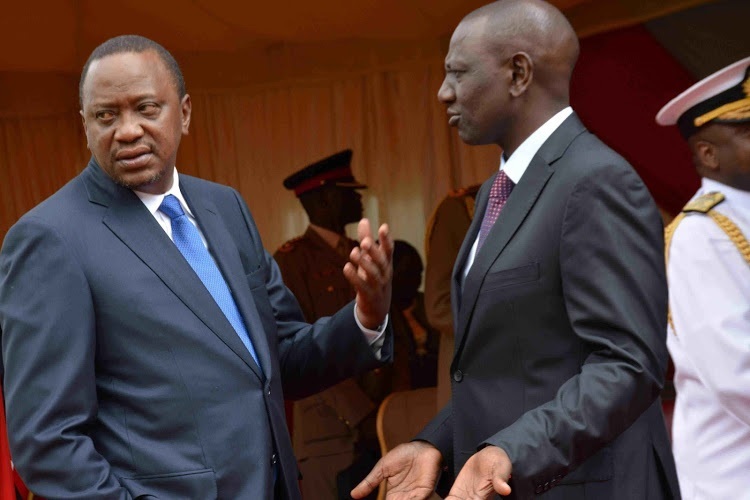 Wednesday April 17, 2019 - President Uhuru Kenyatta’s Government has finally clarified about the role of the Directorate of Criminal Investigations (DCI) after Deputy President William Ruto and his allies accused the agency of overstepping its mandate. Two weeks ago, Ruto and his lieutenants said the office of the DCI should not deal with economic crimes and it should instead deal with petty crimes such as carjacking and bank robberies. Ruto also said DCI George Kinoti should not be in involved in the ongoing purge on corruption saying that he doesn't have the powers to investigate matters of graft. However, appearing the National Assembly’s Justice and Legal Affairs Committee on Tuesday, Attorney General, Paul Kihara, said DCI is well within the law to investigate graft issues. “It's a provision of National Police Service Act, section 35, that DCI undertakes investigations on serious crimes, including money laundering. It also detects and prevents crime. There is, therefore, a misunderstanding because of inadequate knowledge on the law," Kihara who is also Uhuru's legal advisor stated. Kihara’s sentiments were echoed by the Ethics and Anti-Corruption Commission (EACC) CEO, Twalib Mbarak, who said that corruption falls under the wider economic crimes bracket which lands under the docket of Kinoti. “Economic crime is part of crime which DCI is mandated to investigate," Mbarak said.